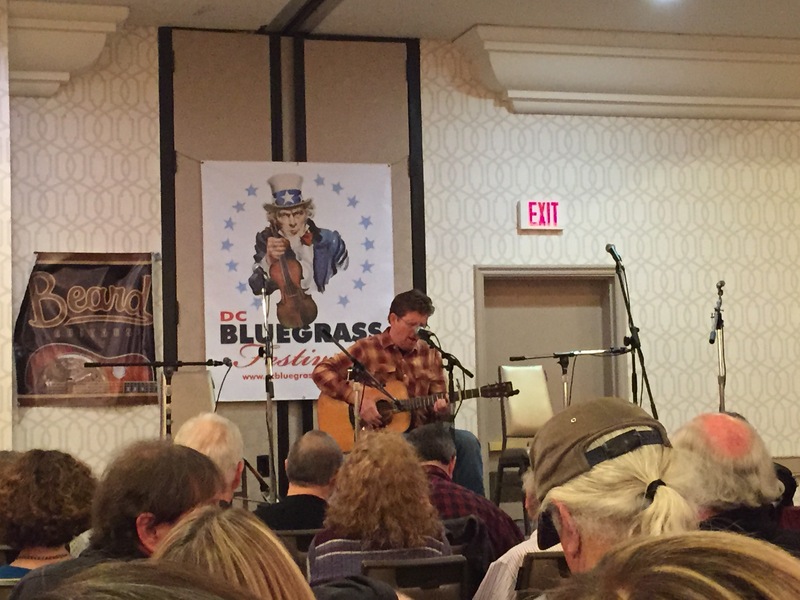 We went our first DC Bluegrass Festival this weekend held at the Sheraton at Tysons. Interesting and small hotel festival. Not impressed with the hotel as it is a bit tired and not well maintained. The food service left me cold also. I don’t know why I have high expectations for food at festivals?! We could have left the hotel and walked to a number of restaurants however with the cold weather we opted to stay on the premises. For lunch, we had the mediocre lunch buffet. We booked a club room to have access to the club where we did enjoy a fantastic sunset over the Blue Ridge mountains however no alcoholic beverages were available according to the attendant-everything got drank up the night before and the hotel did not re-stock. Not a huge issue however the food in the club seemed like leftovers from the lunch buffet. I know hotels like to serve buffets however some establishments make it a highlight rather than leftover banquet food. About 9:30 pm the hubby got hungry so we tried the restaurant again, he ordered a hamburger and I had the steak quesadilla which was really a hamburger quesadilla, both ended up being the best food we had while there which isn’t saying much. There were workshops in the afternoon and we went to two, the first one with Tim O’Brien. We sat in the last row and still had a great view. Listening to Tim talk about the instruments he plays and the songs was enthralling. 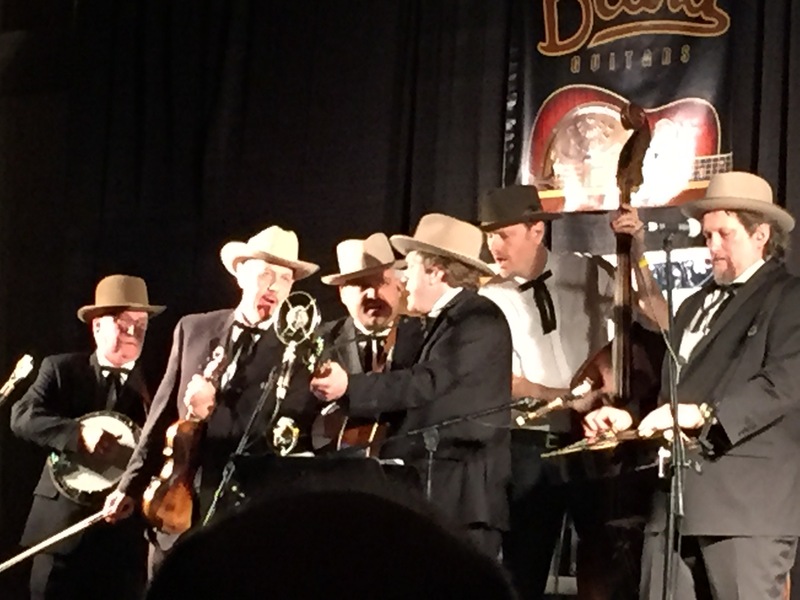 He told the history behind the song, Mic Ryan’s Lament written by Robert Dunlap. The tune is Garryowen which is an ole time Irish song. It became the song of Custer’s 7th cavalry and the lyrics to Mic Ryan describe 2 Irish brothers who came to America and one ended up fighting for the Union in the Civil War and the other at the Battle of Little Big Horn. He closed the session singing Walk Beside Me, one of my favorites. 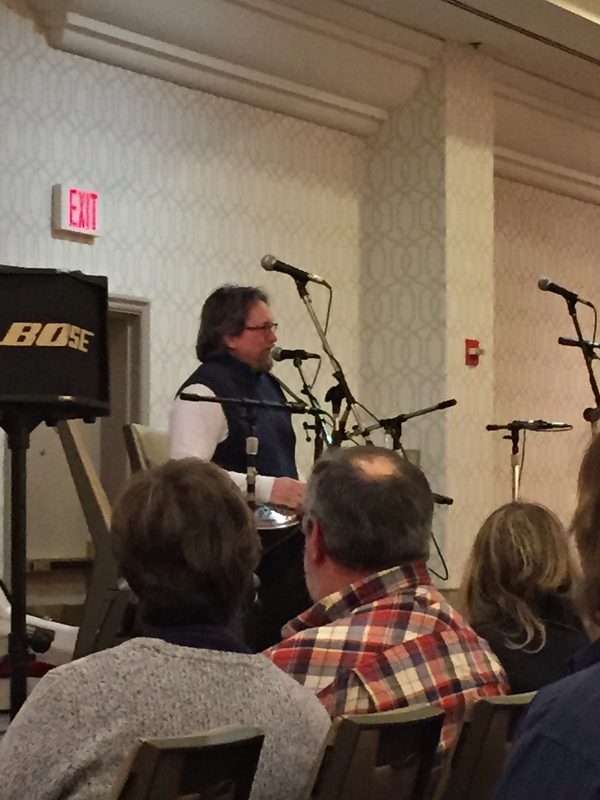 Jerry Douglas had a dobro workshop where he played 2 old dobros that he uses with the Earls of Leicester, who were the headliners for the festival. I have seen Jerry play many times and in this setting, up close and personal and listening to him talk is a highlight. He is kind of local to this area, playing with the Country Gentlemen as a younger guy. He said he liked the second Birchmere the best. I don’t remember the first Birchmere. And do remember the second location, great intimate venue. We caught a little of the Banksters. I took in Sierra Hull’s set, I do love her voice and she can play the mandolin. Of course the Hokies were playing basketball so part of the time, we watched the game in the room. And then came back down to see the end of Blue Highway and all of the Earl’s set and it was a great show. 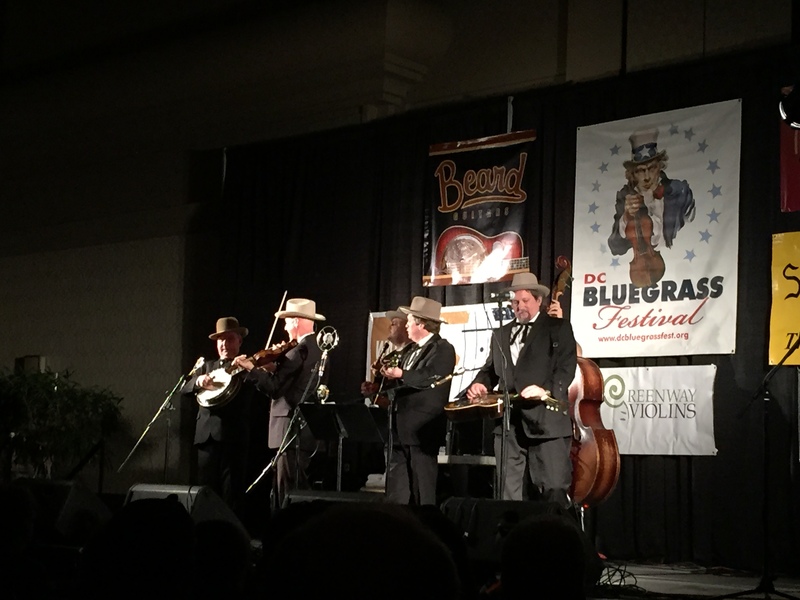 Those guys appear to be having so much fun playing the music of Lester Flatt and Earl Scruggs. This time I attempted to keep a setlist but they soon quit announcing the song and just played one after the other. They played about 30 songs, starting a little after 11 pm and playing to about 12:30. 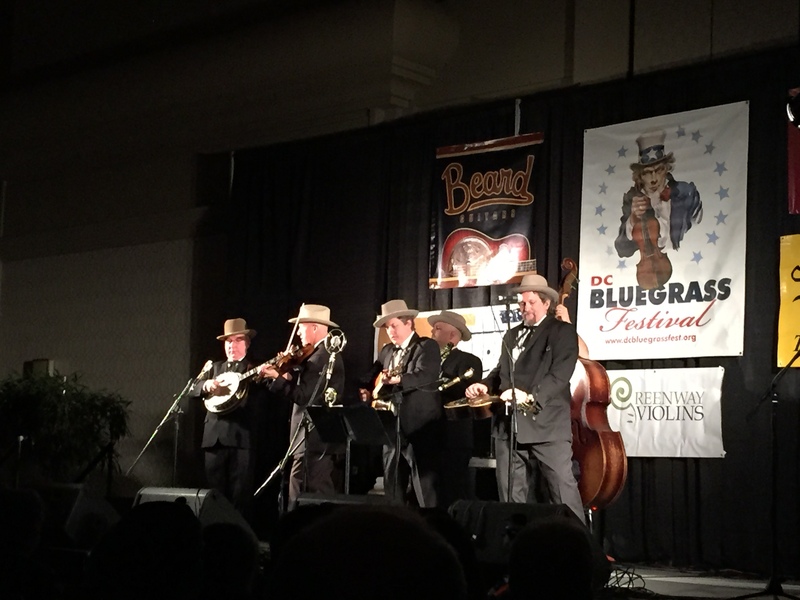 Shawn Camp channels Lester Flatt in a captivating way. Extraordinary entertainment. This entry was posted in Uncategorized and tagged music, shows by candyt9. Bookmark the permalink.